Handling emotions…a tool-kit for life! Become an expert on yourself! …in a co-counselling course it had a big impact on how I viewed myself, and how I held back from relating authentically with the world. What I got most from co-counselling was a sense of freedom to be myself – I felt I had permission to explore inside myself without being disapproved of if I found something unpleasant. …is to help you live autonomously, creatively and in touch with your emotions, uncovering hidden parts of yourself. Co-counselling challenges the view that some feelings are taboo and that you should not have them. It can help you come to terms with your past and your present, so that your feelings have less of a grip on you. This is a powerful opportunity to develop self-awareness, authenticity and personal strength. Co-counselling is a peer-based therapeutic system based on mutual exchange and using a variety of techniques you will learn on the course: it draws from Gestalt, process oriented psychology (POP), psychodynamic, humanistic, bodywork, psychodrama and cognitive approaches. 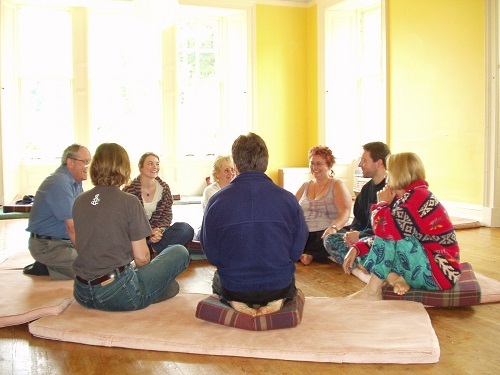 The course is an integrated and therapeutic experience in its own right: even if you decide not to do any co-counselling after the course, the two weekends will give you a space to experience and confront yourself within a therapeutic and supportive group setting. …you may choose to utilize co-counselling skills with a co-counselling partner or in a group. Successful completion of the course allows you access to the local, national or international CCI (Co-Counselling International) network and its workshops. CCI residential workshops have provided me personally with a unique and liberating space to grow, play, and to challenge myself. See the link ‘After the course’ above.